And then I got a job and had to move to a different state and become an adult and all that mumbo jumbo. And now, here I am, four years later, still working on this darn thing. But I am getting closer! It is mostly constructed (phew!) and almost all that remains is the fun part... decorating! Here is what it looks like on the site. It didn't have a photo of it unfinished and in pieces. And (of course) I didn't think of taking a picture of all the pieces. I love this, it made me smile and want to play! I'm with Bethany - I want to live in it too!!! 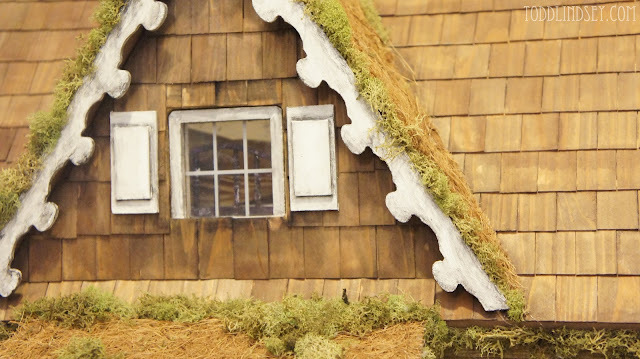 You turned an ordinary doll house into an extraordinary one - beautiful job!!! 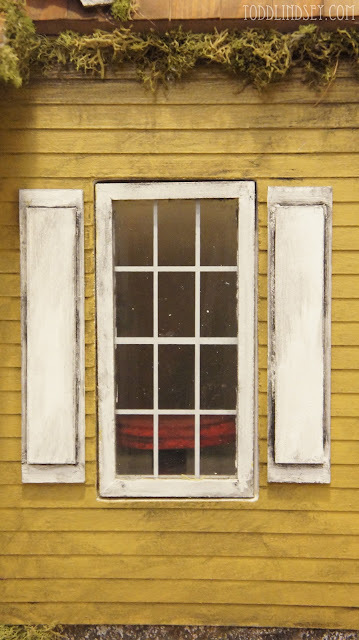 We just inherited a doll house. And I can't wait to decorate it. I hope you end up putting up some furniture ideas! this is so great. I want to live in it. 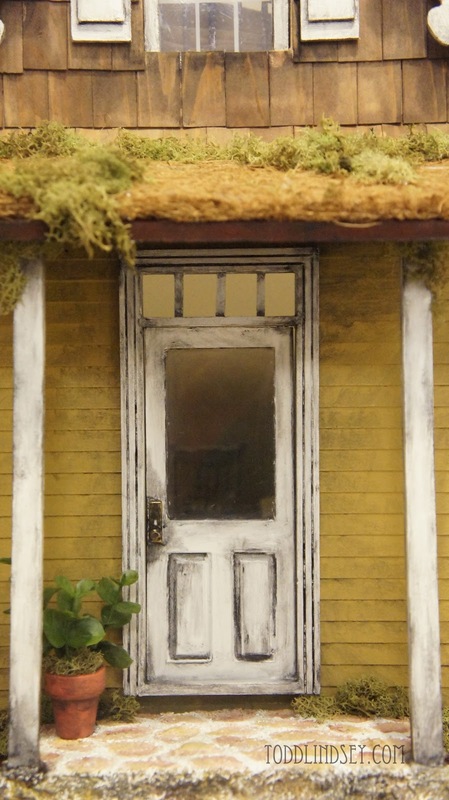 I thinkI might start looking for a doll house for my kids. This is gorgeous! I love how everything looks aged in it. I dreamed of one of these as a kid! (Life was so much simpler then. Now, unfortunately I had boys. (well not unfortunate...I love them) but I will have to hope for a little girl Grandchild....in the far...far...future. Thanks for sharing. Came over from Vintage Gwen. So cute! I love what you've done with this house, especially the floor, walls and ceiling. It all looks so authentic and well-lived in. P.S.--Thanks so much for visiting my blog and leaving great comments! Wow, this is amazing! I am co-hosring a link party called Wednesdays Adorned From Above Blog Hop and would love to have you share this and any other posts with everyone. It runs from Wednesday through midnight Sunday. Here is the link to the party. 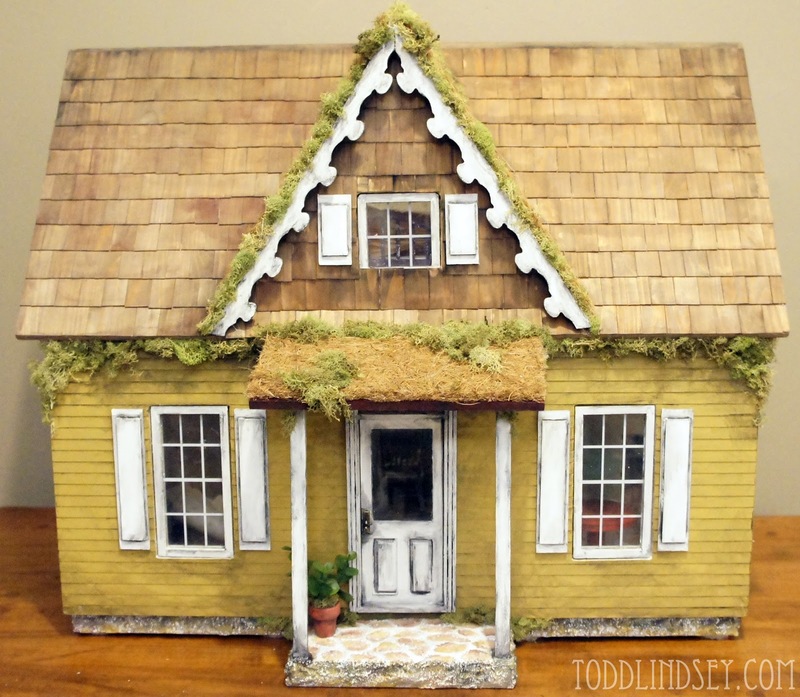 Just saw your link over at Katie's Nesting Spot and had to come and check out this dollhouse... Super Cute!!! Love the kitchen! Just beautiful, Lindsey! Love it! 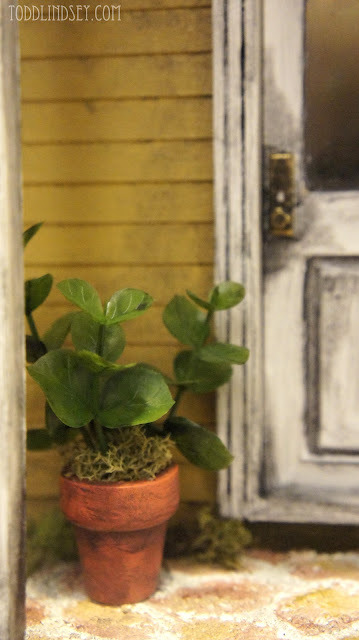 This is so adorable- I have a dollhouse in my basement I've been putting off renovating so this was an inspiration! This is super cute :) I love dolls and i love doll-houses! I hope to be blessed with a girl whenever I have kids so that I can have dolls, doll-houses and all girly stuff around to have fun with ;) And if I don't, I'll still buy all that stuff and 'force' my boys to play with them... hahaha!! This is my first visit here and I had a great time going through all your posts. Awesome work done in the kitchen. I think yours looks much nicer than there pic. Great work so far. I look forward to seeing more of it as you finish! 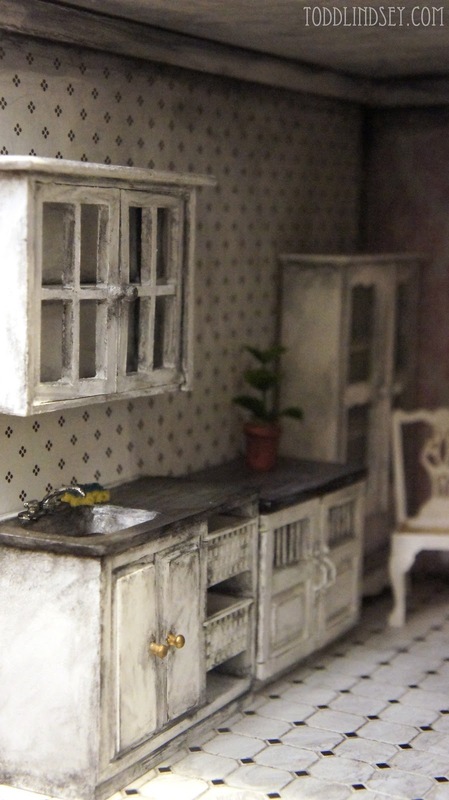 Your doll house is wonderfl, great work! Love to see more of it. Thanks for commenting on my blog and your compliments :D! Hi.. I am just starting a dollhouse of my own and I was wondering where you got your kitchen furniture and your bathroom set. I cant find anything I like. Gorgeous house by the way. 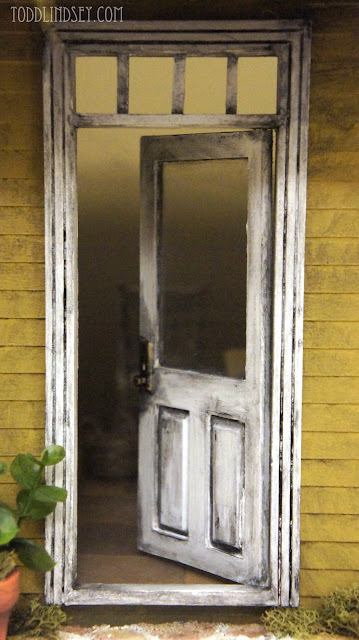 Its the first thing that got this crazy dollhouse obsession into my brain.